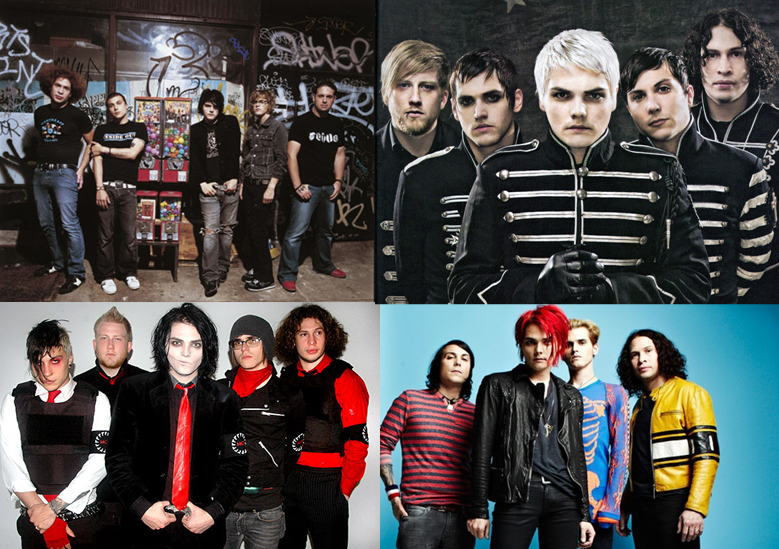 4 eras of MCR. . HD Wallpaper and background images in the My Chemical Romance club tagged: my chemical romance. 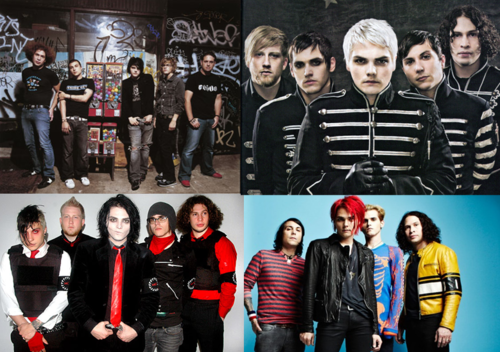 This My Chemical Romance photo might contain gut gekleidete person, anzug, hosenanzug, pantsuit, oberbekleidung, überkleidung, overclothes, and freizeitbekleidung.